The Bluetooth LE device mounts on top of existing switches for quick and easy smart-lighting retrofits. After a supremely successful crowd-funding campaign in which the company raised more than $185,000 against a goal of $50,000, Switchmate announced today that it will ship its first products in May. Slap a Switchmate on almost any ordinary light switch, and it will become a smart switch that you can program and control with your smartphone. 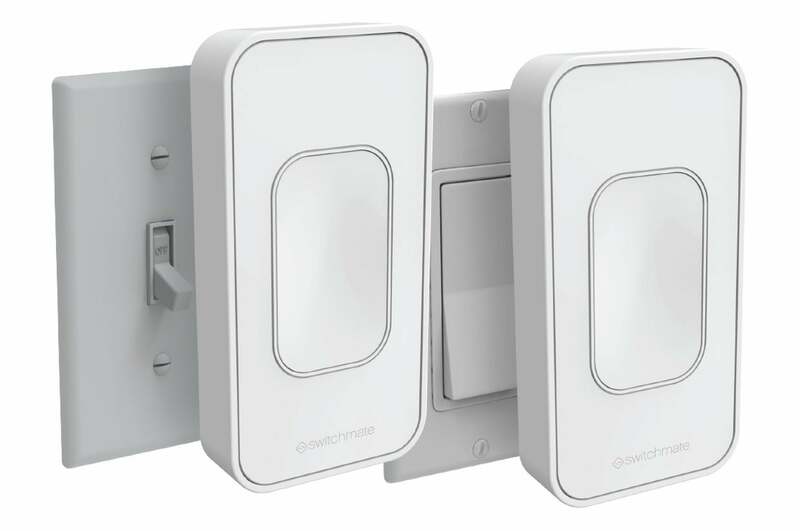 A pair of strong magnets on the back of the Switchmate bond to the screws on your conventional wall switch, and a servo motor manipulates the original switch to turn the light or outlet that it controls on and off. A smartphone app communicates with the switch using Bluetooth Low Energy, and the Switchmate has enough brainpower and memory that it can be programmed to turn the lights on and off according to a schedule. The switch can also detect the presence of your smartphone and turn on your lights as you approach your home. The design that Switchmate will ship in May is a slight departure from the original form factor, being 4.5mm thinner. The final price tag has also been reduced from $49 to $40, which is about $9 less than early backers paid. Those backers won’t be getting the new thinner design, either. The Switchmate will be available in two styles: One to control toggle switches and the other for rocker switches. Why this matters: The Switchmate is a very smart idea for the connected home. First, it’s supremely easy to install because it doesn’t need to be hardwired. That also makes it a great choice for renters, because it’s so easy to take with you when you leave. Thirdly, it doesn’t require a hub for control because it uses Bluetooth LE, and pretty much every smartphone and tablet has a Bluetooth radio. Finally, it’s a very affordable smart-home upgrade, especially at its new price of $40. 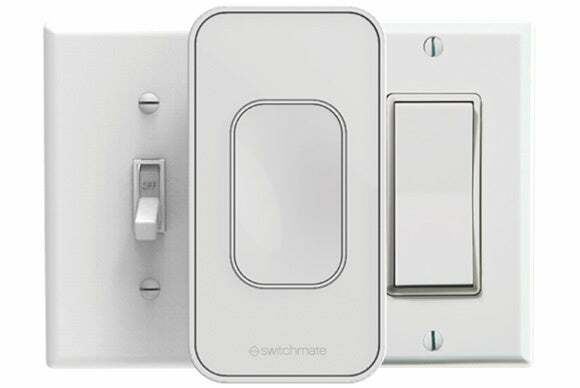 We’ll have a hands-on review soon, but we can offer these observations even without a unit in hand: The Switchmate will be superior to most smart light bulbs if the lighting fixture you’re looking to control is connected to an existing wall switch (true of almost all ceiling lights) or if it’s plugged into a receptacle that’s controlled by a wall switch (true of many table and floor lamps). That’s because it’s the switch that ultimately controls power to the fixture. It doesn’t matter how smart the bulb is if the switch on the wall is in the off position so that no electricity is flowing to the bulb. 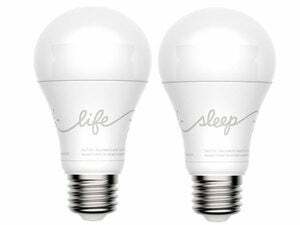 On the other hand, a smart light bulb will be superior to a Switchmate if the fixture you’re looking to control is not controlled by an existing wall switch. If the bulb is controlled by a power switch on the device itself, just leave that switch in the on position and use your smartphone or tablet to turn the bulb on and off. 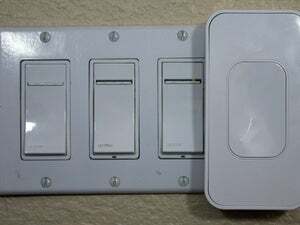 Since most homes will have a combination of these two scenarios, and you wouldn’t want to use two different apps to control your lighting, the best solution remains replacing your switches and receptacles with smart devices controlled by some type of hub, be it Z-Wave, ZigBee, Insteon, or something else. Yes, it’s more complicated, more expensive, and more permanent, but these more complete solutions also deliver other benefits: They enable you to tie your lighting into your home-security system, so that lights can be controlled by door, window, and motion sensors. Open your door at night and one or more lights will come on automatically. You can also program your lights so that they will turn on in the event of a break-in, or if your smoke alarm goes off in the middle of the night. The Switchmate is a great idea, just be aware of its limitations before you buy one. Because you’ll want to go further as soon as you get a taste of the connected home, and the Switchmate won’t take you there (although that could change if and when Switchmate ships its own hub).